Marijana was recently approached for comment on limited borrowing recourse arrangements for Self Managed Super Funds. 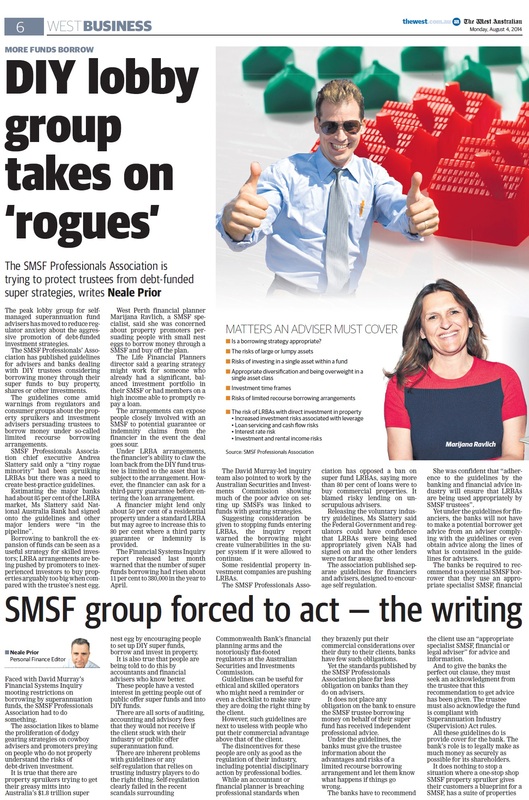 Her comments were featured in the below article in The West Australian recently “DIY Lobby Group Takes on ‘Rogues’”. If you or anyone you know would like to speak to Marijana, a SPAA Specialist Adviser, about whether a Self Managed Super Fund might be right for you please give us a call on 08 9322 1882.